Here's some of my thoughts on our current election cycle here in Dunwoody. And by the way I'm voting a straight Democratic ticket in this general election. In the perfect world we wouldn’t have political parties, no PACs, and folks would run strictly on the merits of their platform and of which they stand. And how do you know where they stand? There’s a thing called the Internet, and I appreciate candidates who post readily available public details online of their personal platform, detailing what they will work towards and believe in. If the individual has no information, then you have to look at the party’s platform. Besides, what are they hiding? In addition to the major points that folks talk about, I also look to see where they stand on matters of Sustainability, Environment and Human-Powered Transportation options. -- Imagine a world where 50% or more of our K-12 children are walking or riding their bikes on a daily basis to school. Yes, that could be a reality if the majority of our local & state officials wanted that to happen. I get it that having a track record of local, non-partisan accomplishments is a good thing at the city government level. Think about Paving, Police, Zoning, Code Enforcement and Stormwater systems. Maybe even Parks and Recreation. The list goes on. On many local issues, I've seen both Democrats and Republicans on the same side of an argument. Generally, there's no clear ideology to say if you support project X or oppose it that indicates your national party affiliation. Everyone I know wants transparent, accessible and fiscally responsible government. I'm a big fan of local control with responsive elected officials that you see out & about in your daily life. But at the partisan office level, political parties have distinct and clear differentiation on major issues that go well beyond our Dunwoody borders and the work of our city government. 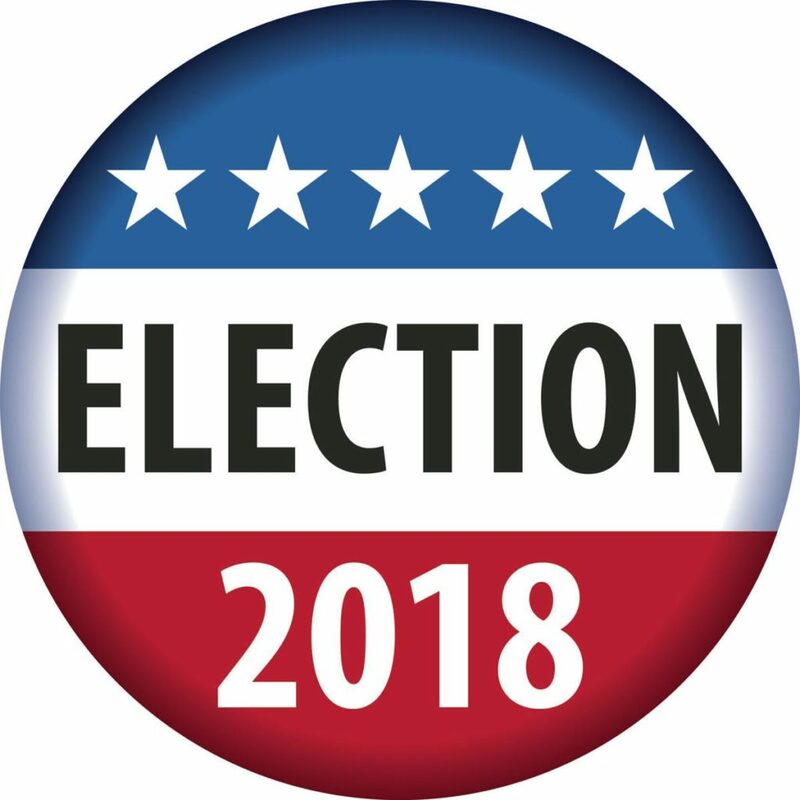 Think about issues like healthcare, public school funding & oversight, social rights, the environment, true regional planning, post-secondary education & workforce training, criminal justice reform, and public transit. These fundamental issues are heavily debated regarding the role of government; and how and who should pay for services & capital goods. Did you know that libraries where fundamentally opposed because it wasn't supposed to be a role of government? The list goes on. Want to outsource and privatize everything, and leave in place a "pay to play" system that only benefits the "haves"? There's gotta be a balance. 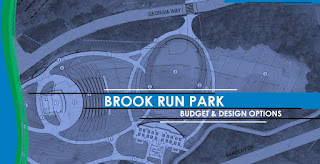 When I see the athletic fields at Dunwoody High School requiring private donations to repair and upgrade, and being successful in raising locally to-date over three quarters of a million dollars, I ask myself, what about those kids down in South DeKalb? How will they have nice facilities? Every child in Georgia deserves to be on a level playing field when it comes to education, healthcare, and more. That's what good government does. It's not a surprise, but I am not aligned to many of the current goals of the Republican Party. After 14+ years of our state being ran by the GOP, it's time to give the other side a chance. I’m voting a straight Democratic ticket. I’ve voted Republican in the past. Right here in Dunwoody (it can be looked up). In my decade living here, more than once have I been “talked down to” by prominent civic leaders because I’ve been labeled a Democrat. Or spoken to with a “we know what’s best, don’t you worry about it” attitude. In this election, how I’m casting my vote isn’t about the person asking to hold that office (Until 2020 for President, that is). And it certainly shouldn’t be about the party. It’s about how close ones personal beliefs and values line up with the candidates and initiatives listed on the ballot. Like Ruth Bader Ginsburg being close friends with Antonin Scalia, yet being on opposite sides of many court opinions, let’s hold each other to those same standards. When we see each other in person in the coming weeks, let’s respect one another for our differing points of view. And simply enjoy a human to human conversation and relationships. PS: I can’t WAIT to get into the midst of our local city elections for 2019 (!). I won’t be on the sidelines for that one. Who will earn our vote to be our next mayor???? 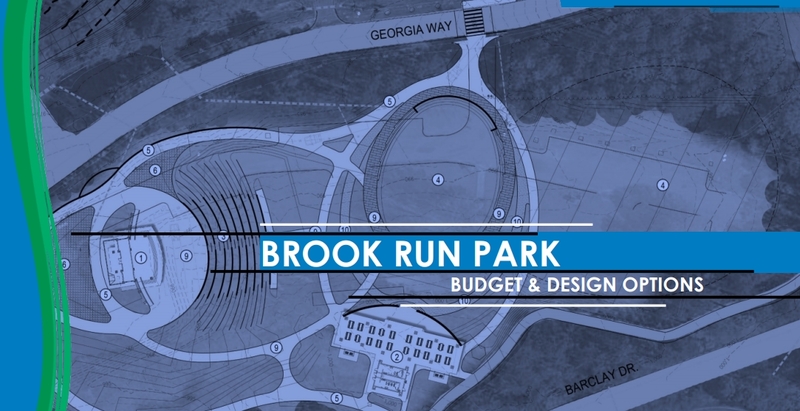 Today (5/21/2018) at 4 pm, the Dunwoody city council is hearing Brook Run Park design options. For the proposals, click here. I just sent the below email to Georgia House Representative Johnnie Caldwell, the Chairman of the House Reapportionment Committee, Rules Committee Chairman John Meadows john.meadows@house.ga.gov and copied his special-interest friends. Apologies if this isn't a slick and engaging visual post. GEORGIA GERRYMANDERING EMERGENCY! The Georgia House of Representatives has filed a shady last-minute bill, HB 515, to change district lines to rig some districts to protect Republican incumbents! Filed on Tuesday, second read on Wednesday. Tomorrow (Friday) is crossover day. The bill has no "Why" or Reasons". Bill is in geo-code speak without any maps to visually see. Needs to have public input from the citizens that LIVE in these NINE House Districts that are affected, and hearings held. Please loudly oppose this anti-democratic effort. Last census was in 2010 and districts have already been redrawn to show that change. Call & email Reapportionment Chairman Johnnie Caldwell, Jr at 404.656.5087 email: johnnie.caldwell@house.ga.gov. Call and email members of the House Rules Committee and let them know that you are watching and won't let them get away with this. Are you afraid that in 2018 the seats held by Representatives Golick (HD-40) and Strickland (111) may change from Republican to Democrat so much that you need to do some Gerrymandering to keep your friends in office? Plainly state to Georgia citizens WHY you introduced and sponsored HB 515. Plainly state to Georgia citizens the PROBLEM that needs to be fixed. As a Georgian and 23-year US Army retired Infantry Major having spent a year in a combat zone serving in Operation Iraqi Freedom, I am ashamed of this partisan and unscrupulous behavior by a select few “elites” that hid behind closed doors. You work for the citizens and you do not get to choose who you work for by changing district maps arbitrarily and capriciously behind closed doors without citizen input and transparency. Stop HB 515. This is gerrymandering at it’s worse. It represents “packing & cracking” done behind the scenes weeks ago using sophisticated voter & demographic databases behind closed doors to manipulate and dilute the power of the PEOPLE. The timing has all been well-thought out to try to hide from the voters your intentions. The bill contains a bunch of geo-codes without maps that a human could not read. Add the before & after maps for humans to read. It changes NINE House districts. The bill was introduced on Tuesday with a first read. Had a second read on Wednesday and now it looks like you want to get it to the full house for a vote before crossover day on Friday. You waited until the last minute to push this through in an attempt to sneak it past Georgia voters. The bill as written does not contain the WHY or REASON. How many people inside these NINE districts came to the Georgia State Assembly saying there was a problem? Precisely WHAT is the problem that needs to be legislated? How many public meetings were held in these NINE districts notifying the CITIZENS that you were thinking about changing THEIR districts, and/or state representatives? Reason this district map needs to be redrawn? This bill wreaks of partisan Gerrymandering and must be stopped dead in its tracks. In contract, you should support and vote yes for SR 6 & SR 7 to REMOVE party politics and put the PEOPLE back in charge of our state elected servants, going back to representing the people. SR7: RESOLUTION proposing an amendment to the Constitution of the State of Georgia so as to provide procedures and standards for legislative and congressional reapportionment; to provide for related matters; to provide for submission of this amendment for ratification or rejection; and for other purposes. Myself and the public look forward to hearing your prompt and detailed response. Yesterday in the news, the Dunwoody assistant city attorney has been put on paid administrative leave following allegations he made derogatory comments on Facebook about women and Muslims, according to a city statement. Today, I sent our Mayor & Council the following letter, asking for a proactive and welcoming response. I personally know, trust and have the greatest faith and confidence in all of you as our elected & appointed city leaders. I know you all have the highest ethical & moral values. I recognize and greatly appreciate that you are taking this effort of due diligence most seriously in this matter. You could have taken a different path. But you didn't. And it is greatly and sincerely appreciated. 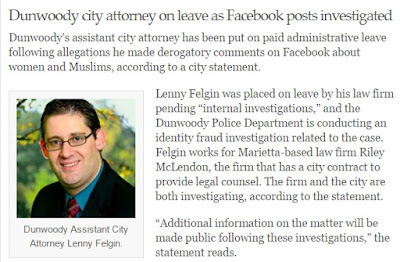 Denouncing any racist remarks or behavior of any staff or city official, reaffirming that Dunwoody supports and welcomes people of all faiths, immigrants, ethnicity and backgrounds to our city? Enforcing that our police will not racially profile anyone and treat all citizens alike with the same respect that we all have for one another? 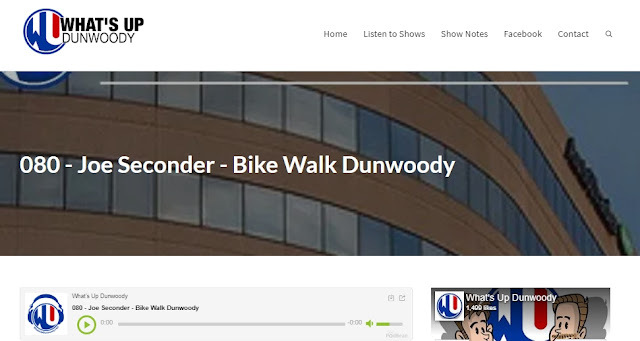 And for those employees, contractors or persons doing business of & by the City of Dunwoody, any such behavior will be swiftly dealt with leading up to and including termination? This statement does not need to mention or reference this ongoing investigation. As you know, Dunwoody voted for Hillary. The past 12 days have seen great divisiveness and angst in this country and our region that hasn’t been seen in a generation. We are a divided and polarized nation. Instead of coming together after the election, we growing apart. Facts matter and truths are indisputable. People who don’t like what they have seen the past 12 days are mobilizing, organizing, becoming informed and taking actions. Right here in Dunwoody, too. 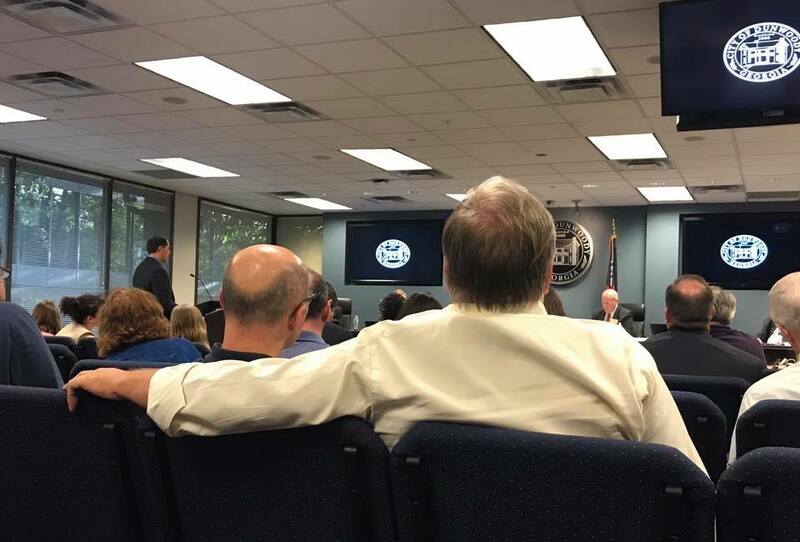 At the local level, we should not be a divided Dunwoody. A short and direct statement by our hometown mayor would go far in the eyes of the greater public.